I’m very pleased to welcome Jackie Baldwin to the blog. Her debut novel, Dead Man’s Prayer is published as an ebook today with the paperback to follow later in the year. 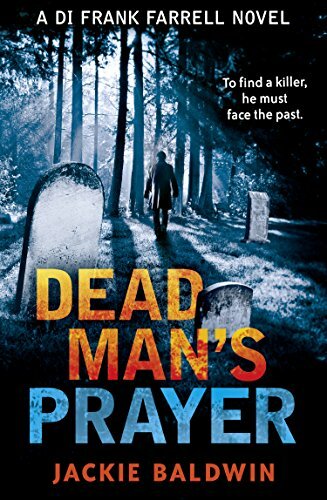 It is published by Killer Reads and you can order a copy here: Dead Man’s Prayer I am very much looking forward to reading it in the next few weeks. In the meantime, let’s get to know Jackie a bit better. Thanks for joining me Jackie. First of all, would you tell me a little about yourself? Thanks so much for having me on your blog, Joanne. I live in Dumfries with my husband and two bouncy Golden Retrievers. I have a son and a daughter who are both students. For most of my career I was a solicitor practicing family and criminal law. However, a few years ago I decided to retrain and become a hypnotherapist, which I absolutely love. I work from home and the only downside to that is the frenzy of housework that has to accompany days when I see clients. When I am not working, I am usually to be found in a forest or on a beach with the dogs, looking wet, muddy and dishevelled. I loved to write stories as a child. These usually had oodles of melodrama and were called things like ‘The Dark Horrors of Destiny.’ From an early age my dream was to be a published author. I was an only child and always had my head in a book. My catchphrase was, ‘I’ll just read to the end of the chapter.’ My life when young was quite isolated but escaping into these diverse worlds with their readymade cast of companions was a joy. I realised these books were taking me on an emotional rollercoaster making me laugh or cry and I thought it would be the best job in the world to give that experience to other people. It was protracted. We had a wonderful writer in residence, Jules Horne, who came to work for our local arts association. She started a 12 month mentoring scheme and I applied to write a crime novel. At the time, I was working part time and had two small children so had it not been for Jules I doubt I would have made it to the end of that first draft. If it had only been myself I was letting down, I might have just let it fizzle out after a few weeks as life was busy. However, there was no way I was going to let Jules down when she was investing her time and energy in me, so I kept ploughing on until I got to type the magical words, ‘The End.’ Except, it wasn’t. Multiple drafts over the years followed. At one stage my book felt like one of those giant jigsaws that had been emptied out on the floor. I had some interest from agents but no one took me on. I then decided to do one last massive re-write with a view, as much as anything, of it enabling me to put the book away and start something else. I had just finished this when a writing friend put up on Facebook that Killer Reads were open for submissions. I fired it off, thinking nothing more of it, and two weeks later I had a contract. It’s a police procedural featuring DI Frank Farrell, a former RC priest who returns to his home town of Dumfries. A local priest is murdered, the one responsible for driving him out the priesthood years ago. Farrell has to delve into the past he thought he had left behind him to catch his killer. Twin boys are then abducted and the pressure is piling on as Farrell starts to see recurring patterns that make him question whether the killer is messing with his head or whether he is losing his own grip on reality. I didn’t! My editor came up with it and I loved it. Titles are something I find really difficult at the best of times. The book has had numerous titles over the years. Lunch out with my family followed by a walk along the cliffs at Balcary Bay. Then a bottle of champagne in the evening chilling out at home with hubby, kids and dogs. Oh and I’m sure there will be cake in there somewhere! Yes, I am working on the second DI Farrell novel. So hard to choose just three. I would have to go with ‘Bad Samaritan’ by Michael Malone, ‘Missing Presumed’ by Susie Steiner and ‘Fractured’ by Clar Ni Chonhaile. ‘Saving Sophie’ by Sam Carrington. Thoroughly enjoying it! It varies. In the last few weeks I’ve been so busy it has been a struggle to find the time. Early morning and late at night in bed, generally. I use a kindle as well as books. I am on Twitter @JackieMBaldwin1. I also have a Facebook Page, Jackie Baldwin Author. Social Media has been a sharp learning curve. If you had told me six months ago that I would be on Twitter by now I would have laughed myself inside out but after the initial panic I am actually enjoying it. I am a huge Star Trek fan so having a conversation about ‘tribbles’ with someone in the US was fun! This is a great question and difficult to answer because a lot of the books I enjoy put their characters through a great deal of physical and mental anguish which I wouldn’t be keen to experience on their behalf. 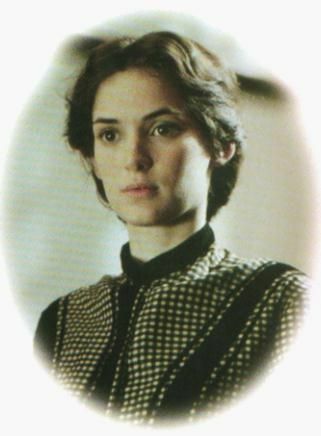 On that basis I would have to go with Jo from Little Women/Good Wives as she’s headstrong, a bit of a tomboy and very impulsive but her heart is in the right place. She is brave and doesn’t let fear hold her back from realising her dreams. And, of course, a huge bonus is that she isn’t being hunted down by a serial killer!